About this Project – Been There. Doing This. My name is Maria Gosur, and I’m a designer, web coder, and entrepreneur who loves to create, learn new things, continuously grow, and help others do the same. I run a design group called Creative Seed and other ventures alongside this. In short, my goal list is quite extensive. As I continue to grow as a person and in my career, I am constantly inspired by a variety of people who have taken the same steps I am trying to, who have triumphed through amazing obstacles, and who show great courage to live their life with authenticity and meaningful work. I know some of these people as colleagues, instructors, and mentors; while others I only know from a distance through books, music, podcasts, and online media. For years, I purposefully and regularly learn from these channels. My topics of interest range from practical categories like business, habits, and design to more emotional-based categories like working with confidence and authenticity. I’ve always wanted to put together what I continue to learn as reference for myself but also to help others trying to launch their own goals that keep them up at night. 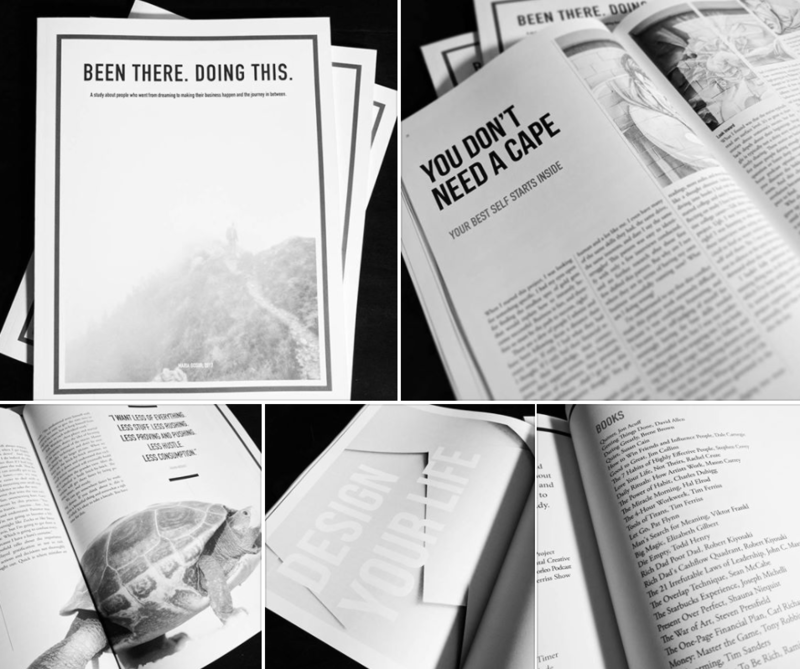 What started as a project idea years ago became an influential project experience in graduate school where I created a magazine deliverable that compiled my intense learning for one semester. This blog is a continuation of this project in online format. I hope the learning I am absorbing and sharing here too helps and inspires you to reach your own purposeful goals.